The thought of a visit to the dentist can be terrifying. Nervousness begins to creep in a few days before your appointment, growing until you’re sitting in the dentist’s chair having a full-blown panic attack. If this is you, you’re not alone. Many people fear the dentist, some so much that they avoid going altogether. In fact, according to the Journal of Dental Hygiene, 19% of people feel a moderate or high amount of anxiety when visiting the dentist. This is where Sedation Dentistry comes to the rescue. Sedation Dentistry is the administration of a drug to ease anxiety and pain in a patient in order for a patient to be more comfortable during dental procedures. 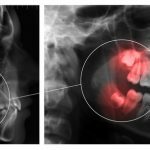 Whether it puts you to sleep for the duration of the dental work or merely relieves a little of your anxiety, Sedation Dentistry can be a giant blessing for people who are so afraid of the dentist that they put off check-ups. 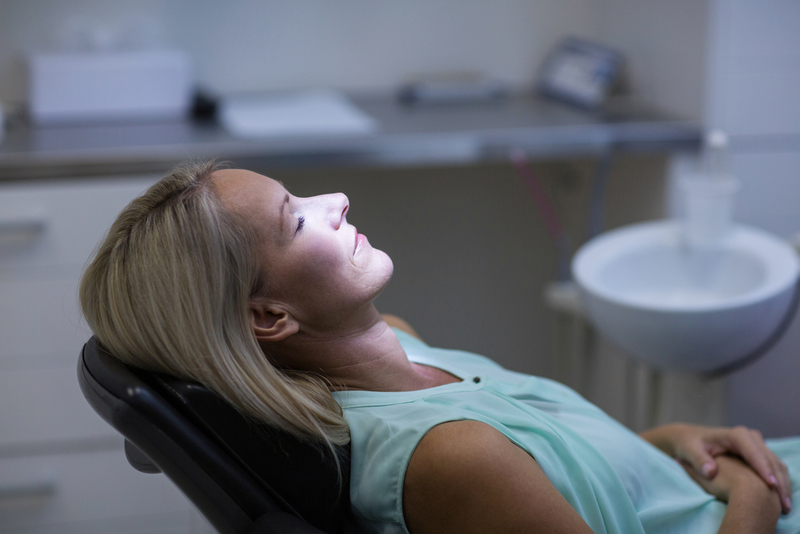 What Kinds of Sedation are Available? Sedation is used to dull pain and/or take away any anxiety that the patient may be feeling. Most commonly, anesthesia is administered in the form of a local anesthesia such as novocaine simply to dull the pain and not put the patient to sleep. Some forms of sedation require a license to administer them which not all dentists have so many only offer local anesthesia or arrange for a physician to come in to administer it which could cost you more in the end. Nitrous Oxide. “Laughing Gas” may also be administered to help the patient relax. It does not cause you to become unconscious but it does relieve your anxiety about the procedure. Local anesthesia is used with nitrous oxide to lessen the pain. Enteral Sedation. This can be used with nitrous oxide and is a pill or liquid that you take orally that helps you relax yet stay awake while the work is being done. IV Sedation. Intravenous sedation is an antianxiety sedation that allows deeper sedation while awake. This type requires recovery time. General Anesthesia. This sedation is used to cause the patient to temporarily lose consciousness so they are asleep while the dentist performs the procedure. Usually done as an injection possibly along with an inhalation sedative. Recovery time is required after the procedure before you can leave. Any kind of sedation, especially sedation that causes a person to lose consciousness, has risks. When administered by an experienced, licensed, well-trained dentist, the risks are low. However, if you are obese or have sleep apnea, the risk of developing complications may be higher and you should discuss them with your dentist before your procedure. Discuss your medical history including any medications you may be taking. Discuss the risks. Your dentist should give you a written form that outlines any risks. Make sure you are clear on what they are. Ask about the dosage they’re going to use and whether or not it falls within the FDA guidelines. Ask your dentist if he or she has drugs on hand that will reverse the effects if the need arises. Ask your dentist about his or her training and experience. At Oral-Facial Surgical Arts, we want to make you as comfortable as possible during your procedure which is why we offer various types of sedation. Both Dr. Achong and Dr. Latham are fully trained and licensed in the administration of sedatives to make your visit to them as pleasurable as possible. The best part about Sedation Dentistry is that it feels like your procedures were completed in the blink of an eye! Whether you need your wisdom teeth pulled or dental implants, our staff will make sure you’re comfortable throughout your entire procedure. If you’ve been putting off oral surgery because of fear and anxiety, call Oral-Facial Surgical Arts today at (352)243-5599 for our Clermont office or (407)207-8005 for Lake Nona and see how Sedation Dentistry can help you get your smile back. I was so nervous to get my wisdom teeth out but after my conciliation I felt much better. The staff is very friendly and made me feel comfortable, I didn’t have a long wait time at all while I was there. They also were very accommodating with my tight schedule and allowed me to go to the Lake Nona location which was a nice location as well. No complications with the surgery afterwards. I have to say it was not half as bad as what I had in mind. Happy I found this office ! Dr Latham and his staff were fabulous. I would recommend this practice to everyone. Amber, Veronica and Maureen were very caring and efficient. They all made it as pleasurable as possible. I don't know the other staff members' names but they all get 5. GREAT EXPERIENCE!!!!! Love it! Appointments are always fast and to the point. They are always super friendly. Had all four of my wisdom teeth removed. By a week I made a full recovery. My cheeks never ballooned up and I only needed the pain medications on the first day. I had the surgery on Thursday and was back to work on Saturday. I strongly recommend this place to everyone! This is the BEST surgeon ever!! They create the best environment for their patients, I felt like I was in good hands when I was going under sedation. 4 months later, 4 less wisdom teeth and I am fully healed, like no surgery was ever done. The best staff they were so nice, the true definition of southern hospitality. Best of all they made me feel comfortable. Will definitely be suggesting this surgeon to all that needs his work. My 17 year old had to have his wisdom teeth removed. The consultation and surgery went very smoothly. My son’s recovery is was speedy and uncomplicated. Oral Facial Surgical Arts was awesome! The whole staff was cordial, friendly, professional and responsive when a sudden need arose. Extractions are never fun but it was truly not a traumatic experience and my specific needs were paramount. I would highly recommend this Lake Nona facility to anyone requiring dental surgery. Dr. Achong rocks! I have no complaints what so ever. My consultation and procedure went very smoothly and any questions that I had were answered without hesitation, including anything regarding breastfeeding and medications that I would have to take. It's been eight days since having all four wisdom teeth pulled and I'm already almost eating like normal again. Highly recommend! Was really worried about the cost and recovery of getting my wisdom teeth done. Shockingly a lot cheaper than expected since I don't have insurance and furthermore maybe I'm just lucky but recovery has been smooth and quick. Had surgery yesterday and worked a half day today with no problem. I really enjoyed my experience here at Oral Facial Surgical Arts! The Staff is very friendly and professional. I felt welcomed. I had my bottom wisdom teeth removed. My main concern was the pain but the surgery was so well done my prescription pain pills were not necessary. I'm very thankful and pleased with the results!